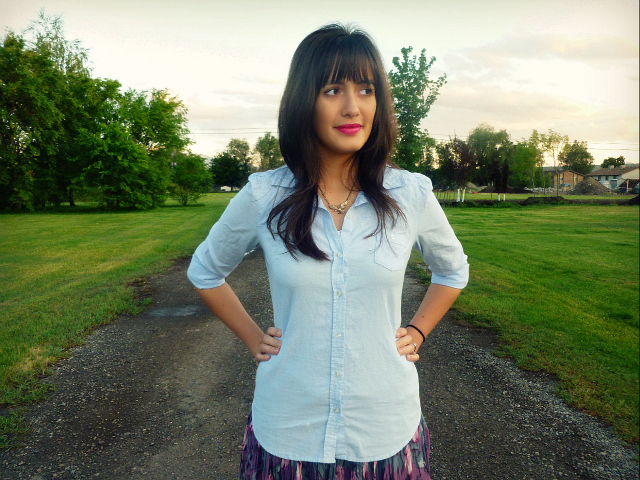 The neckalce and the skirt are absolutely gorgeous, you look great! I was actually going to ask you if you got your hair cut! It looks great, Cecilia! And that skirt/shirt combination is adorable - I love it! 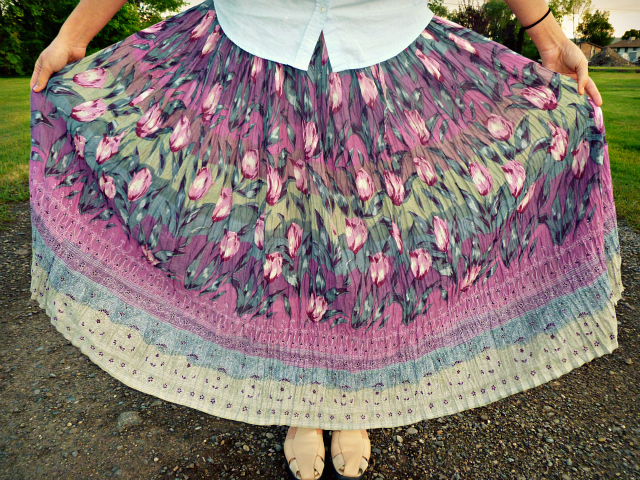 what a beautiful skirt! so lovely! thanks for the email on IFB and all the support! I am following you on GFC! What a gorgeous skirt and made even more special that it belonged to someone special to you. I love the colors and patterns. My grandmother had a ton of jewelry as well and I got some of it when she passed. 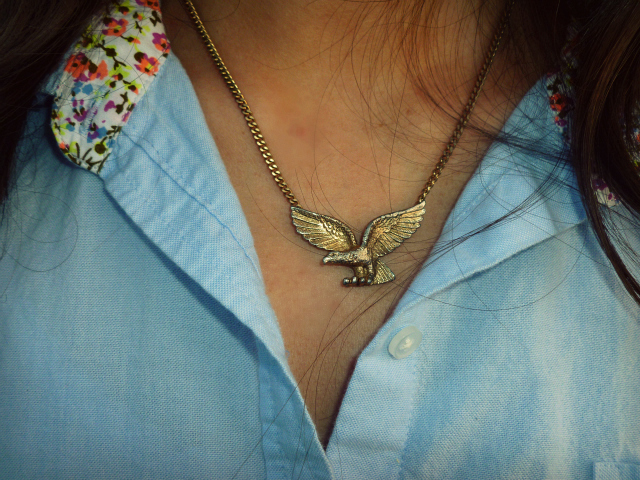 I love it and cherish it forever. 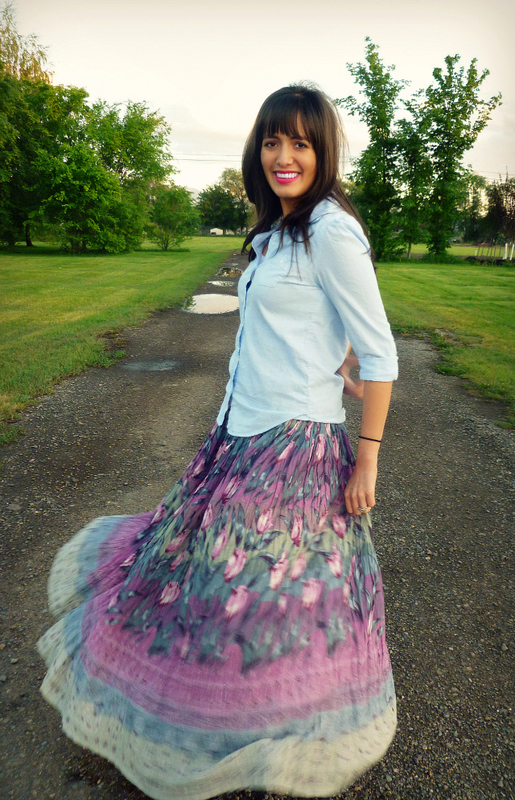 your maxi skirt is amazing,you are so happy and pretty,these photos are beautiful! I always love finding some pretty pieces in my grandma's closet. The skirt is really lovely, can't wait to see you rock more items :) and your new haircut is totally amazing! i was going to say you got bangs!!! i love them! love this outfit!! you make those shoes look good! haha :) and i think i need that shirt! i dooooo like the haircut. this is a pretty great outfit. looks so comfortable! I love grandmother jewelry, it is always so special and unique. ps. the haircut looks great! Lazer tag is so fun! I think that this is so sweet that you've kept your grandmother's skirt, it's so wonderful to have something that brings up memories of her. It looks so lovely on you, that pattern is just beautiful. Wow! cool skirt!!! love the photos!!! 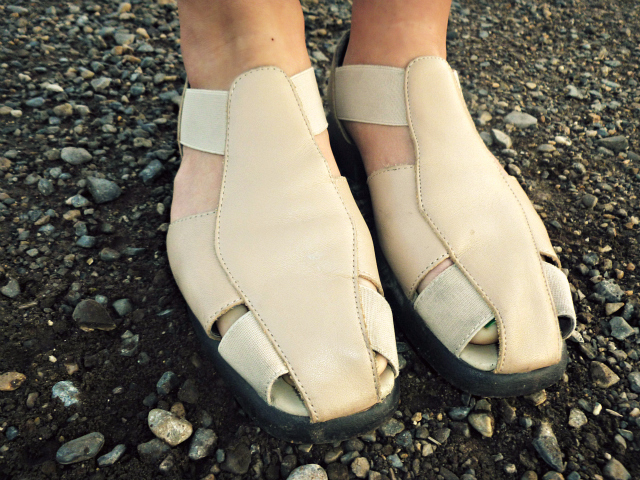 oooooo i love those shoes! 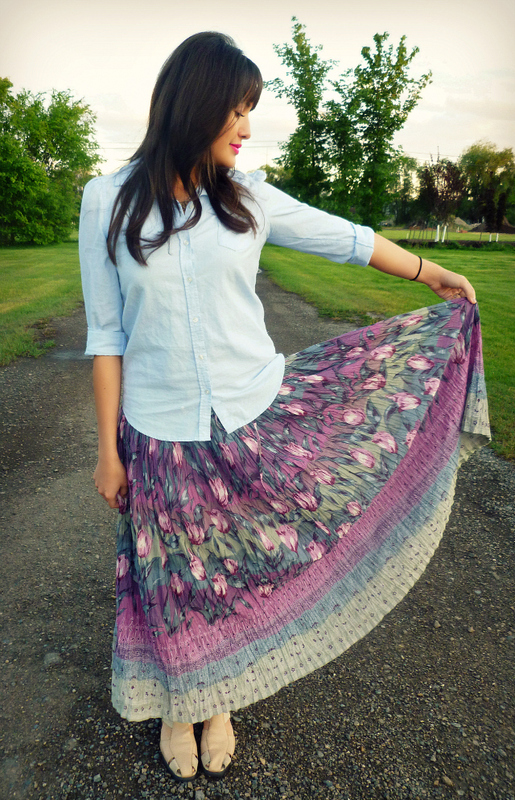 awesome skirt .... such a lovely floral print! Looking fabulous as usual! I love that you wore your skirt to play lazer tag lol! 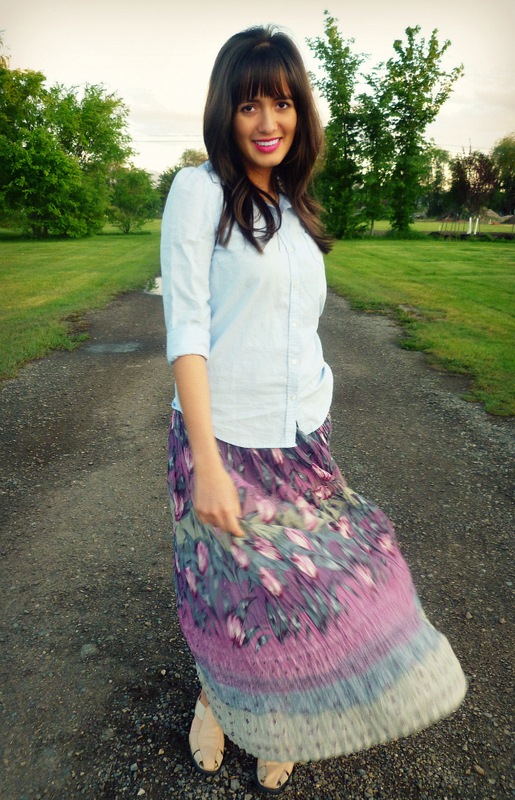 what a fun skirt, beautiful print too!